We’ve pulled together a list of 10 budget-friendly holiday destinations for you to enjoy the festive season. From Christmas to New Year 2016 and beyond, these amazing vacation spots will make any cash-strapped adventurer feel tranquil. Mauritius is a volcanic island nation in the Indian Ocean, and its beauty lies in its undisturbed nature. Just imagine walking on white sand beaches and taking dive in mesmerizing blue waters of the ocean. The breathtaking landscapes are true sights to behold, so it’s a great place to getaway with your significant other or the whole family. 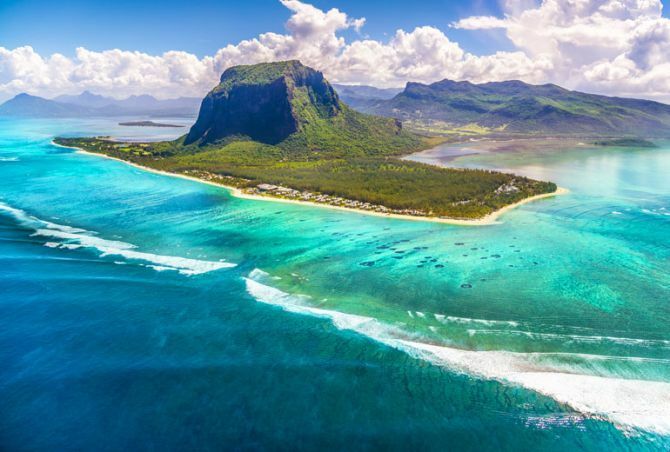 Places to visit: Le Morne, Black River Gorges National Park, Chameral, La Vanille Crocodile Park, Ile Aux Cerfs, and many more. Budget: You could get hotels for as cheap as just $30/night. The total budget nearly for five to six days would be approximately $890-$1000. Shaped like the letter ‘S,’ lying on the eastern part of Indo-Chinese peninsula is Vietnam. The beautiful country is filled with timeless charm and different flavor of Asian culture. You can find pure natural environment here to have a wonderful time with your loved ones. 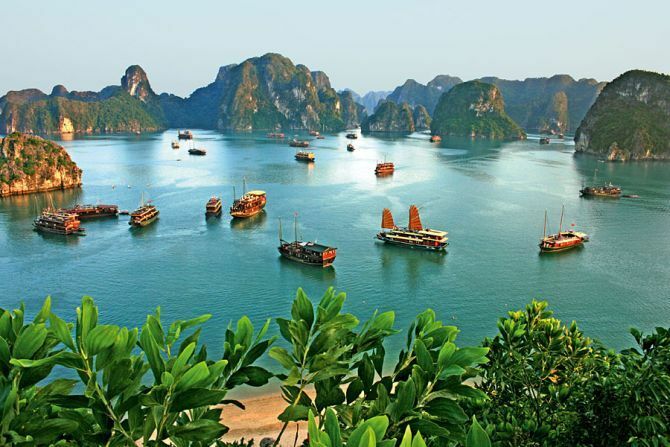 Places to visit: Hanoi, Ha Long Bay, Nha Trang and Ho Chi Minh city. Moreover, you could enjoy traditional Vietnamese food including Nem Raan or Cha Gio (Fried Spring rolls) and Cha Ca (Grilled minced fish). This is small but colorful country that offers a wide variety of places to be explored. 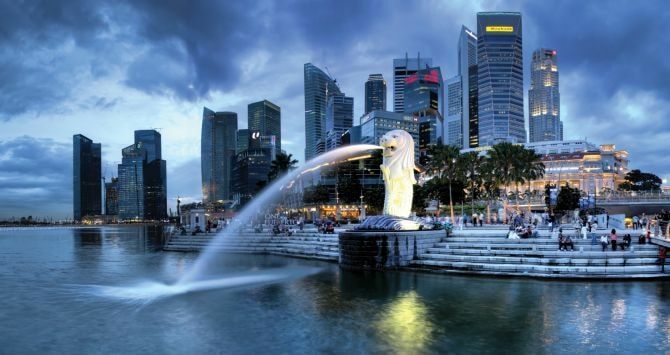 The city is always on the move, and has plenty of amazing places that you must visit such as Marina Bay, Clarke Quay, Singapore Flyer, etc. It is also the hub of shopping in Asia, the fashion capital in fact. The only problem is the flights are not cheap, so you have to plan your trip well in advance. Egypt is the gift of Nile and has one of the longest histories of any modern country. 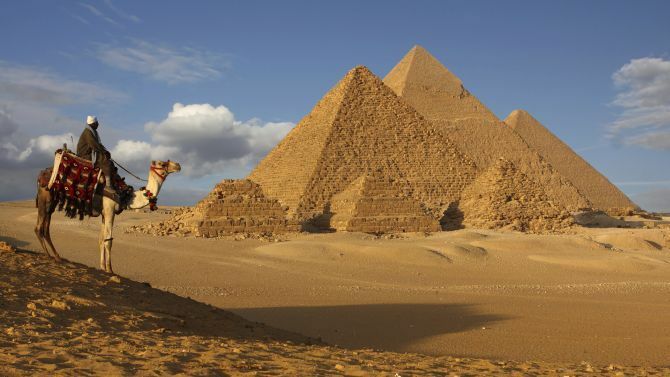 The land of pyramids is full of mystery and countless tales. Most people visit Egypt to view its ancient monuments, along with some amazing natural attractions. Popular places in Egypt are: Giza Necropolis, Luxor, Cairo, Dashur, etc. It is a tiny island that lies in Indian Ocean, so obviously has endless beaches surrounded by panoramic seascapes. It is a rugged place of wildlife and ancient cultures that’s worth a visit. Most of the rituals practiced in Sri Lanka are much similar to Indian cultures. Best places to visit in Sri Lanka are Sigiriya, Kandy, Elephant Orphanage and many more. 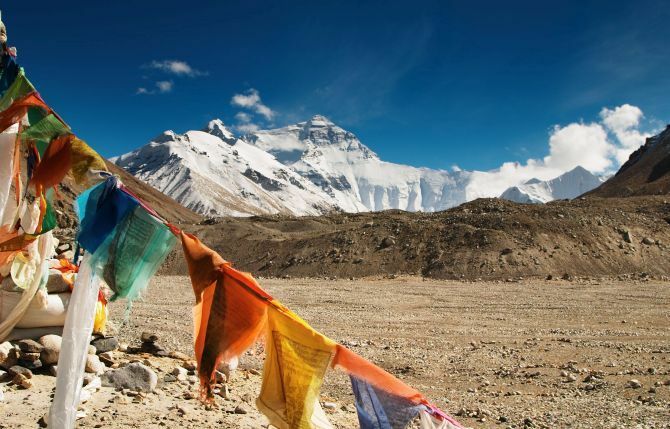 It is one of the world’s most alluring countries for the adventure travelers, Nepal contains some of the most thrilling tours on the planet. It is an exotic destination for those who ever wanted to chill out with high clouds. Surrounded by many exotic locations, the country is also known for its ancient architecture, cobbled streets or exhilarating trekking trails. Beast places to visit in Nepal are Pokhara, Everest Base Camp, Patan, Annapurna Circuit, etc. It is the most well-maintained and pristine Arab country that’s known for the world class hubs with cultural roots. 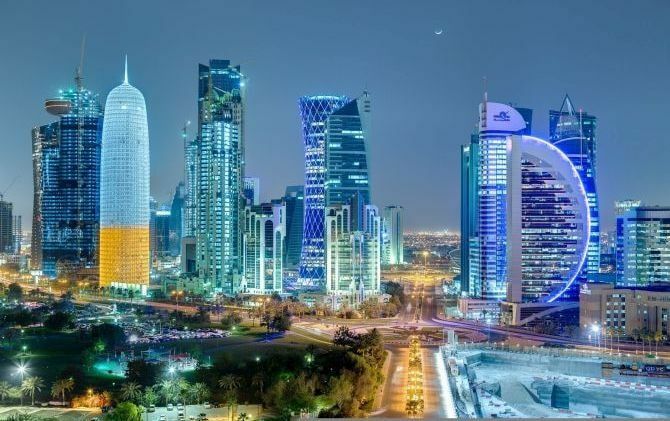 Explore rich culture and heritage of Doha in the ethnic city of Qatar. The traditional handicrafts, the wooden ornaments, ancient ruins and civilizations are also popular in this amazing holiday spot. 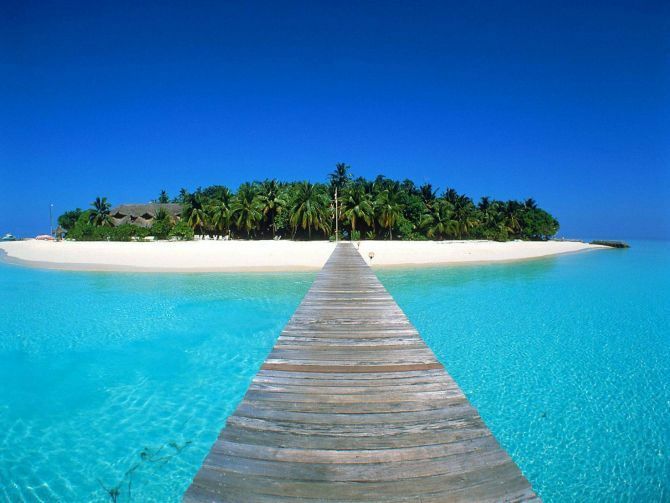 Another insanely popular holiday destination is Maldives. This pretty island will blow your mind away with its magnificent turquoise waters, the amazing water sports, exotic spas and of course its beauty. The shores of this stunning island are always open to anyone, providing tranquil haven for visitors. Best places to visit are: Bluetribe Moofushi, Sun Island resort and spa, Alimatha island and the list goes on. Hong Kong is the country which never sleeps and popular for its night life and hidden restaurants. This is a vibrant place and global financial center famed for its tower-studded skyline. 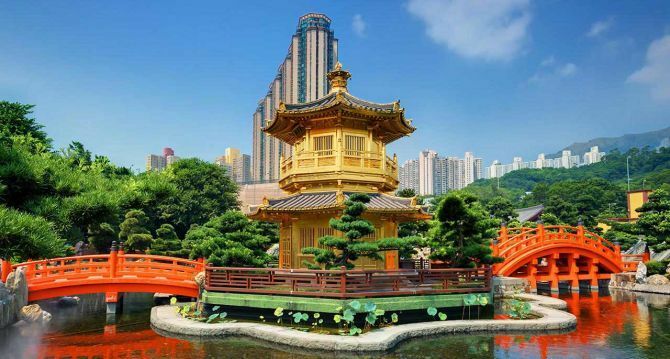 Some of the best places to visit in Hong Kong are: Ocean Pack, Hong Kong Disneyland, Temple Street Night market, Clock Tower and many more. 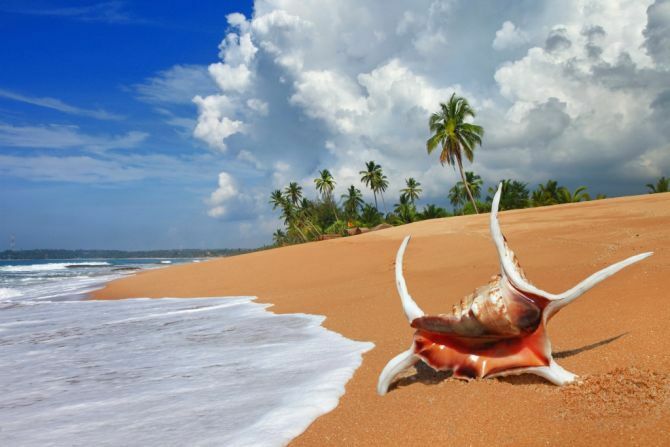 This is among the most beautiful countries in the Indian Ocean region. Here you can eat street food and shop anonymously, while enjoying the attractive natural views. If you’re here, you seriously cannot miss watching various celebrations of the Thai culture. 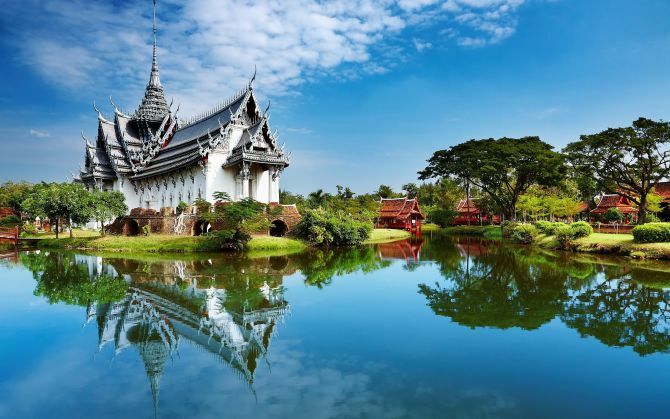 Best places to visit here are: Bangkok, Phuket, Chiang Mai, etc. These were some of the most amazing locations around the world and traveling to any of these countries would cost you less than your iPhone. However, the costs are just estimated and may vary according to your additional preferences and number days you want to spend there.